With the ASEAN integration just around the corner,the country’s largest business-2-business trade show, conference and networking event for Small & Medium Enterprises (SMEs), the Philippine SME Business Expo 2014 - “ Boost Your Business”, held its Press Conference on November 18, 2014 at the Lucia Ristorante of Hotel Celeste, Makati City. 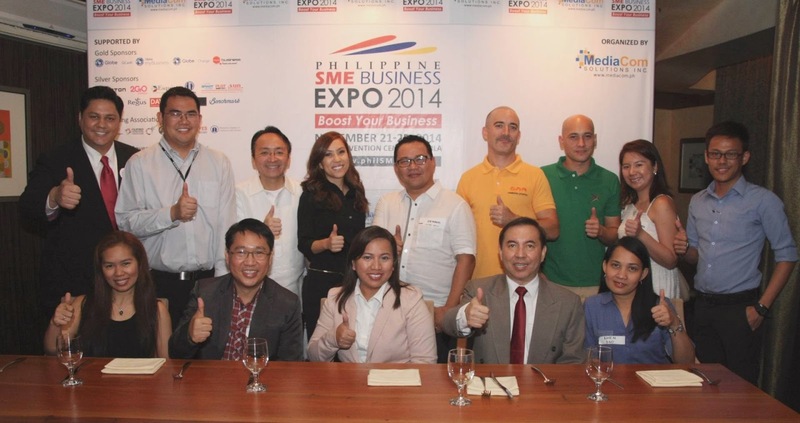 Now on its 2nd year, Philippine SME Business Expo (PHILSME) continues to boost small businesses to become BIG and will opens its gate on Friday, November 21, 2014 at 10AM, at the SMX Convention Center Manila, Mall of Asia Complex Pasay City. This 3-day event also serves as a gateway for Filipino companies that like to enter the ASEAN market and vice versa. Over 200 local and international companies are exhibiting and 20,000 people are expected to visit PHILSME 2014 to network and collaborate. The Press Conference was attended by 30 people from the major newspapers, television and online contributors, as well as by known personalities from the business community, like Henry Ong, President of the Young Entrepreneur Society Philippines (YES) and host of the Global Entrepreneurship Week (GEW) Philippines; Ria Lu, Co-Founder and CEO of Unlock & Load; Earl Valencia, Founder of IdeaSpace Foundation; Arianne Kader, Regional Operations Manager, of Marketplace of ZALORA Group; Rajan Uttamchandani, Chairman and CEO of Esquire Financing Inc.; Norman Adriano, Secretary General of the Supply Chain Management Association of the Philippines (SCMAP); Engr. Romelen Tresvalles, Head of Planning Unit of the Department of Science & Technology (National Capital Region); Chris Raeuber and Nils Walle of the Combined Logistics Networks. From November 21-23, visitors will be able to network with over 200 exhibitors from 18 business sectors ranging from direct selling, technology and innovation, agricultural business, fast food and restaurant concepts, beverage and confectionery, to general merchandise and retail, hotels, salons, spas and gyms, malls, office furniture, machineries and supplies, bar, cafe and coffee shops. “We aim to put together under one roof SME business owners, senior level executives, professionals, government agencies, trade associations from the Philippines and the ASEAN region to collaborate in order to boost businesses and the Philippine economy at large. 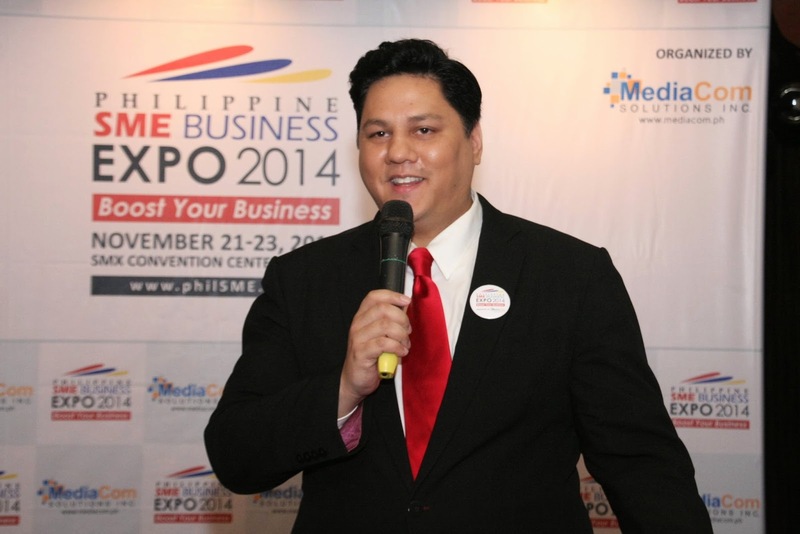 The ASEAN economic community will become the 7th largest economy in the world with a combined consumer market of over 600 million people and we will do everything we can to help small businesses to get access to this market and become globally competitive,” said David Abrenilla, Founder and Managing Director of Philippine SME Business Expo and CEO of MEDIACOM SOLUTIONS, INC.
Philippine SME Business Expo will provide information on the latest innovations.